On Demand Performance Bonds, What Are They? We are constantly getting a lot of questions about performance bonds. This is especially true for foreign operations and how they operate. In certain countries (like the Middle East), theses are really on-demand performance bonds. That is, they are actually a financial guarantee and not a "true" performance bond like most companies are used to in the U.S. where most have a triggering event in a contract. 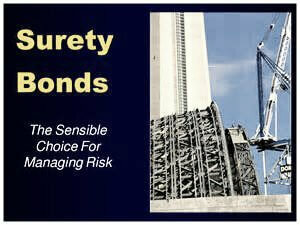 But an on-demand performance bond is simply that - the Obligee calls on the bond and it gets paid. Below is a great example of an on-demand performance bond in singapore. Singapore's Court of Appeal (CA), the country's highest court, has ruled that construction contracts can exclude recourse to the courts for "unconscionable" calls on 'on-demand' performance bonds. On-demand performance bonds are often built into construction contracts. 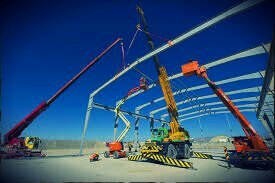 Money is put aside by the contractor as a guarantee, and the employer can then "call on" the bond without having to first establish any default on the part of the contractor. Under Singapore law, a contractor can seek court injunctions to stop a call on an on-demand performance bond in two situations: where the call is made fraudulently; or 'unconscionably' or unfairly. In recent case a developer, Asplenium, had hired a contractor, CKR, to work on a two-year project worth over S$88 million (US$66.6 million). The contract included a S$8.8 million on-demand performance bond. Unusually, the contract contained a clause which said that, except in the case of fraud, CKR would not be able to restrain, or stop, a call on the bond on any grounds, including unconscionability. Over time, disagreements arose over what Asplenium said was substandard work and slow progress, according to the Court of Appeal's judgment. The contract was terminated in October 2014, and in November Asplenium called on the bond. CKR applied to court seeking to stop the call on the ground of unconscionability, despite the unusual clause. The Singapore High Court initially ruled that the clause in question was unenforceable, because, amongst other things, "there are important policy considerations underpinning the doctrine of unconscionability", which was a "considered and deliberate" balance struck between freedom of contract and regulating dishonest and unconscionable behaviour, "… which cannot be lightly brushed aside by an agreement made by parties". However, the High Court did not grant the injunction because the high threshold necessary to establish unconscionability was not met. The case then moved to the Court of Appeal, where Justice Andrew Phang reversed the High Court's ruling on the enforceability of the clause. While the doctrine of unconscionability had been developed in the context of abusive calls on performance bonds, and was motivated by the recognition that such bonds could be used as "oppressive instruments" which may cause "undue hardship" or "unwarranted economic harm", Justice Phang made it clear that the doctrine was not underpinned by the kind of "public policy" concerns that would justify overriding what parties had contractually agreed. The clause excluding unconscionability was thus enforceable. While courts are, on occasion, prepared to override the contractual rights of parties "if to do so would give effect to the greater public good", they rarely do so, Justice Phang said. "Courts must be careful not to apply this particular category of illegality and public policy to every (or even most) contracts in which there are limitations placed on the rights and remedies of the contracting parties," he said. It's a good idea to not have a on-demand performance bond.